Today I spent most of the day running...errands, and scrubbing floors, and whittling down piles, and retrieving laundry from the basement, but mostly I ran from thinking about the significance of the day. Today, would have been my grandmother's 97th birthday. 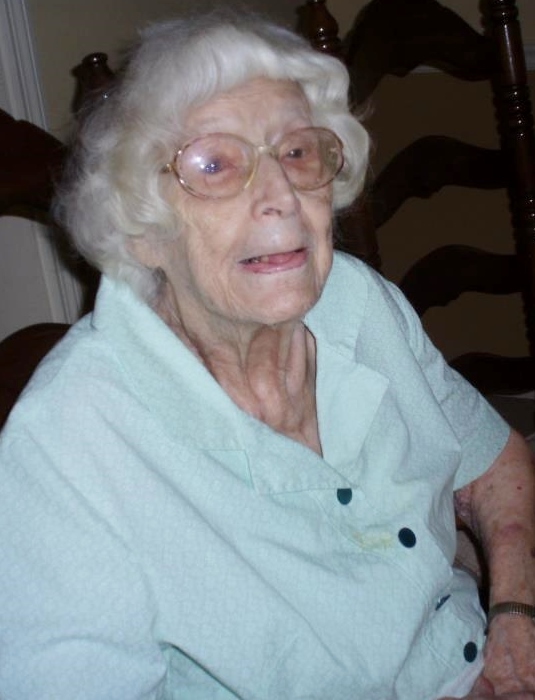 She died on October 21, 2011 and I really thought I was fine with that. 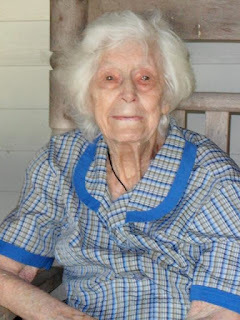 She was 95 and had lived a long life. She and I didn't have what I would consider to be a close relationship mainly because I had to share her with 35 other grandkids. Much of what I know of her I gained from observing her. This is what I know...she was a giver. 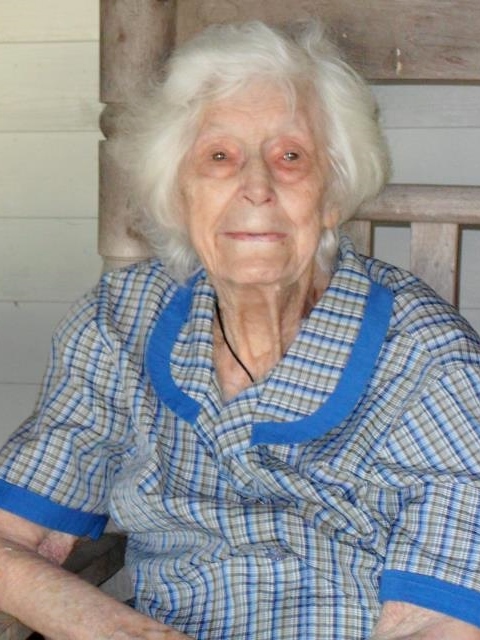 Although she came from very modest means, she always made sure each and every one of her 10 children and 36 grandchildren received birthday cards and Christmas cards with money inside. A devout Catholic, she faithfully tithed and for many years lent her quilting skills to create woven works of art for dozens of church raffles. She was an empathetic soul...After she died, we discovered a stack of prayer cards six inches thick, representing a lifetime of funerals she had attended for friends and loved ones. She was a wiz in the kitchen...Thank goodness she passed down her pie baking skills to her daughters. They are now all gifted at making the flakiest crusts. She was green before it was ever popular...Empty Cool Whip containers could be washed and reused for storing leftovers and Pringles cans made excellent piggy banks. She didn't hold grudges...I think part of her secret to living such a long life was that she had an enormous capacity for accepting people as they were and she was able to forgive those who may have hurt or wronged her. Lastly, she always wore dresses. In 95 years...she never owned a pair of slacks. She grew up on a farm and all of her clothes were made by her mother who later taught her to sew. She passed down her sewing skills to her own daughters, who in later years, helped keep her clothed the way she prefered, by making her simple cotton dresses to wear. When she passed she did not own many items that would traditionally be considered as valuable. Apart from the Jesus plate (you know the one with eyes that seem to follow you) she always had hanging in her dining room, I have a few of her favorite every day dresses. For nearly two years those dresses sat neatly folded in a bag in the bottom of my closet. That is until I decided that Grandma Marie, the thriftiest woman I ever knew, would not be happy that her clothing was not being put to use. Since I didn't intend on wearing them, I decided the next best thing to do would be to repurpose them. I found Betty with Little B Bears on Etsy. She helped me turn Grandma's dresses into three, adorable, patchwork bears. I gave one to my Mom for Mother's Day and another to my sister for her birthday. To me, they are a physical reminder for how Grandma remains a part of the very fabric of each one of her children, grandchildren and even her great grandchildren's lives. I hope that I can one day leave such a legacy. Precious, Andrea. A beautiful reminder that simple faithfulness and a humble spirit of loving-kindness are absolutely magnetic. No wonder you miss her! Thanks, Marilyn. She certainly was one of a kind. Fantastic post. She sounds wonderful. My own Grandma just turned 92. Thank you. Enjoy your Grandma and be sure to write down all the stories she shares with you. Or, if she's a cook -- get her to write down her favorite recipes for you.